Nick Vujicic knows there is no greater hope than trusting in God's plan for your life. Born without arms or legs, Nick has experienced both the peak of hope and the depth of despair. But he has overcome his circumstances and physical limitations by clinging to his faith and understanding the limitless love and power God has for every person. Now he wants you to experience that same reassurance of hope and the power of God, everyday. In these fifty inspirational devotions, Nick shares his most compelling, hard-earned wisdom to help you face obstacles with confidence and courage and point you toward God. 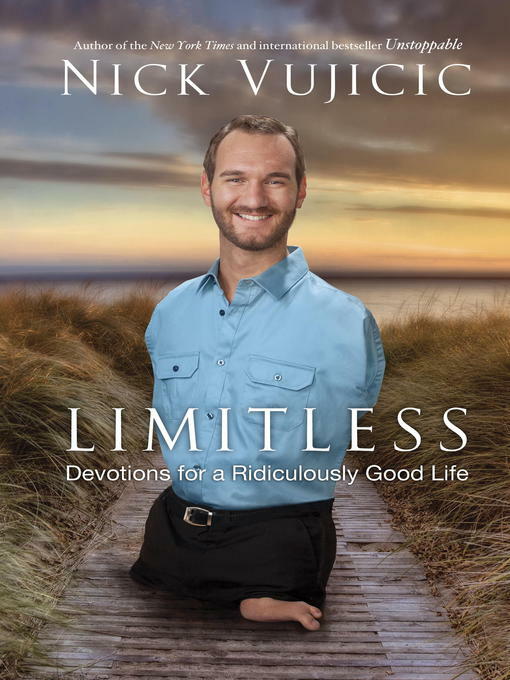 Whether you struggle with faith, relationships, career challenges, anger, health concerns, self-esteem, finding balance, or doubt in your dreams, Nick's biblical encouragement and positive attitude will transform your life and show you that you can be limitless because God is limitless. "Now to him who is able to do immeasurably more than all we ask or imagine, according to his power that is at work within us, to him be glory in the church and in Christ Jesus throughout all generations, forever and ever! Amen" (Ephesians 3:20-21).